"Touching Africa with the Fathers love and teaching them to give it away"
God has called us out to begin a new chapter in our journey with Jesus! 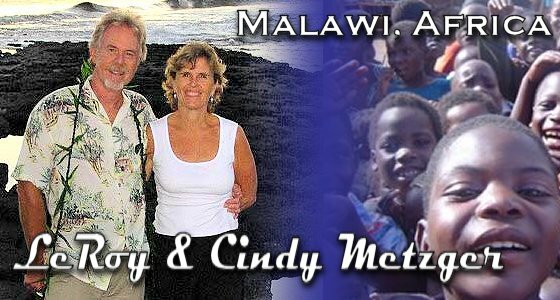 After 18 years on Kauai we feel He is opening new doors to serve Him in Malawi, Africa. God has asked us if we were willing to "step out of the boat" (our comfort zone) and follow Him into the unknown future like Abraham and Sara. We have said YES!!! Thanks for visiting our website, enjoy your visit and drop us a line. If you know of anyone that would be interested in this ministry feel free to pass this website on to your friends.